Boning up on freezing times for most common foods found in your freezer. You already knew this, you say? Good for you then, you don’t have Alzheimer’s yet!!! 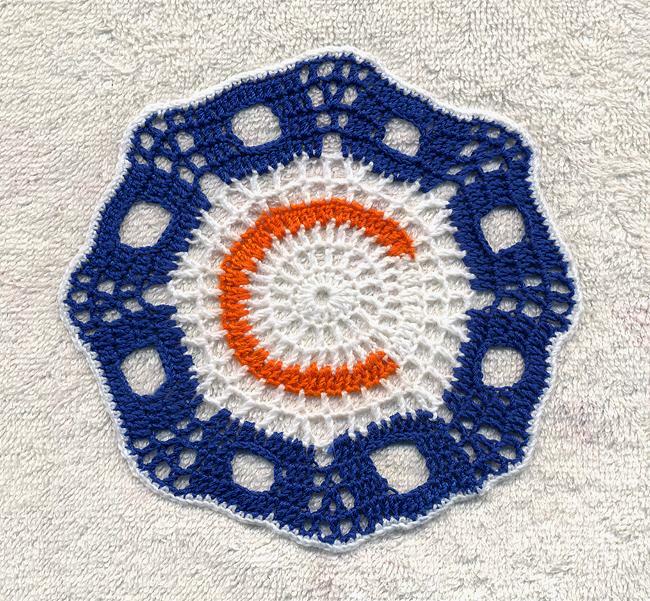 I finished another Coaster; this one is for my Riders Edge Instructor.I had fun with this one, but I wanted to smudge my crochet hook and bury it in the back yard, for fear I’d get warts or something equally as hideous….LOL!! Next one, Green Bay colors~ GO PACK!